The Obermeyer Outland Insulated Ski Jacket gives kids adult sized technology in a comfortable ski jacket designed just for them. The HydroBlock® Sport fabric is lightweight and durable with a 10K waterproofing and 10K breathability rating, perfect for resort skiing. The built-in Control Zone Ventilation system helps them cool down and the full-length windguard keeps the elements out. 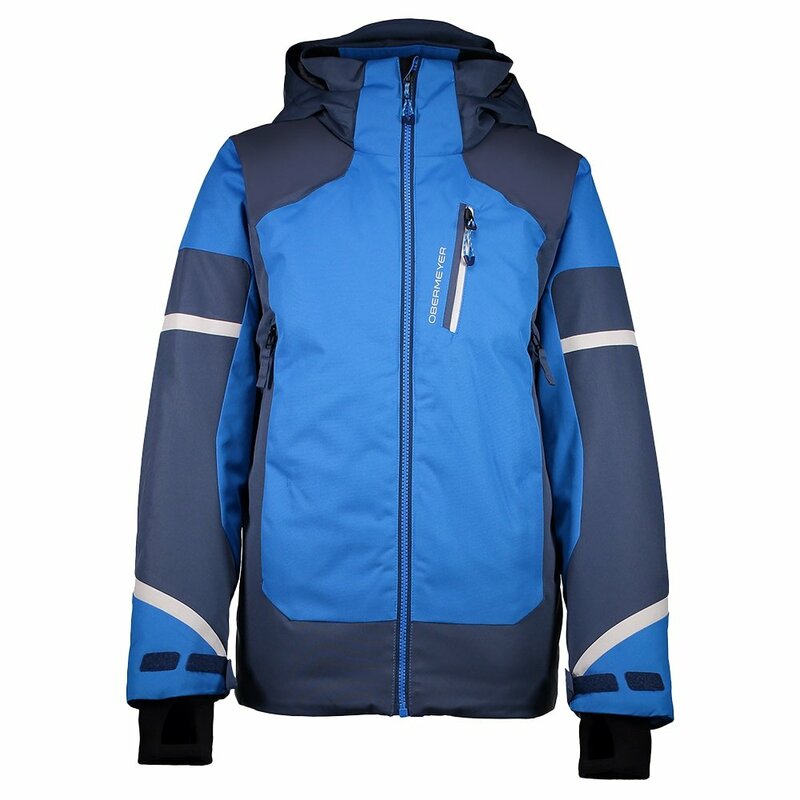 This insulated ski jacket is also practical with an interior goggle and phone pockets, tricot-lined handwarmer pockets, and adjustable cuffs that help him zero-in the fit. Whether he’s hitting the slopes or playing in the snow, the Obermeyer Outland Insulated Ski Jacket will keep up.